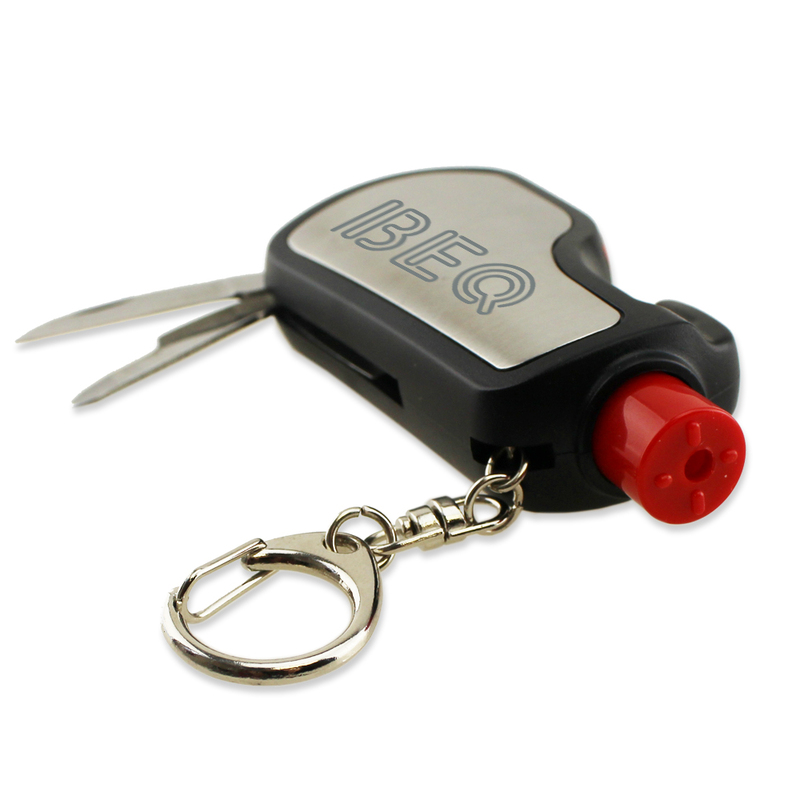 Description: Promote auto safety with this handy Keychain Auto Emergency Tool. 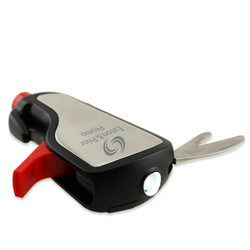 This Auto Emergency Tool features an automatic glass striker, Seatbelt Cutter, Whistle, LED Flashlight, Knife, and a screwdriver with tire tread depth gauge. 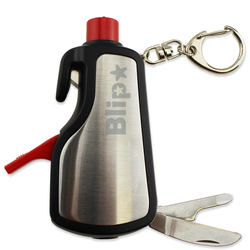 This Auto Tool also comes equipped with an attached keychain to easily take on the go.